With Black Friday less than two weeks away, several music gear companies have already preemptively jumped at the chance to publicize their exclusive deals for the holiday season in hopes of catching your eye. One of the more recent companies to announce their big offer is none other than the massive guitar manufacturer, Fender. Starting on November 23rd, Fender is offering its users a 10% discount on any purchase through their online store, for anybody who also signs up for an annual subscription model to Fender Play, which is the company’s online guitar instruction & tutorial service. 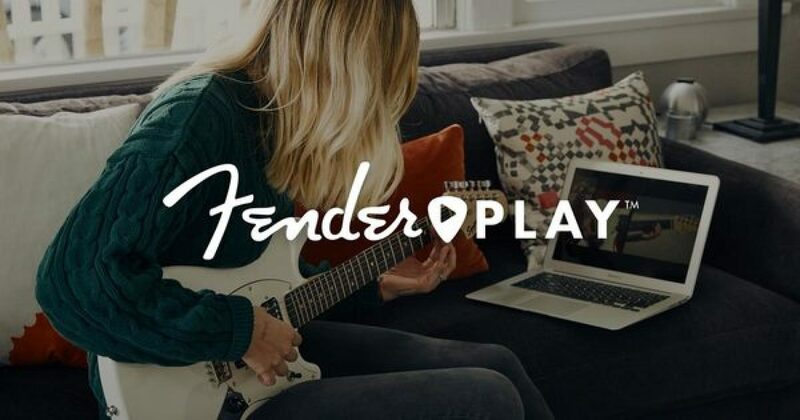 Fender Play launched in July of 2017 as an app or website based service in which guitar players, whether beginners or advanced, can watch tutorial videos with a variety of instructors to improve their skill at the instrument. From learning and mastering basic power chords to nailing the entirety of the “Star Spangled Banner” as it was made famous by Jimi Hendrix at Woodstock, this was a tool designed to be accessible to learners of every variety. You can learn more about the Fender Play subscriptions, and sign up for an initial 14-day trial straight from the Fender website. As mentioned before, those who decide to jump on the annual subscription model of Fender Play at a price of $90, will also be able to snag a hefty 10% discount on the entire Fender online store. Which also means of course — the bigger the purchase, the bigger the discount. Meaning if you wanted to grab yourself, say, a brand new Telecaster with a vintage neck and pickups along with your Fender Play package, with your discount you would save $165 off of the full $1,650 price tag leaving you with just $1,485 to pay at checkout. All things considered, you end up owning gear and service with a full value of $1,740 for just $1,575. In the end, this is absolutely a deal any big Fender fan will want to jump on, at least until they return in 2019 with their hyped series of Jimmy Page signature guitars. Go grab your opportunity at this exclusive offer now before it expires, and we’ll keep you updated over the next couple of weeks with more Black Friday offers from your favorite companies.